Heinrich Albert was born in Norka, Russia on May 27, 1869, the son of Heinrich Albert (born 1838) and Elisabeth Schneider (born 1842). Heinrich was confirmed in Norka in 1884. Heinrich (Henry) arrived in the United States on June 10, 1890 and first settled in Sutton, Nebraska. He soon moved to Portland, arriving in March 1891. 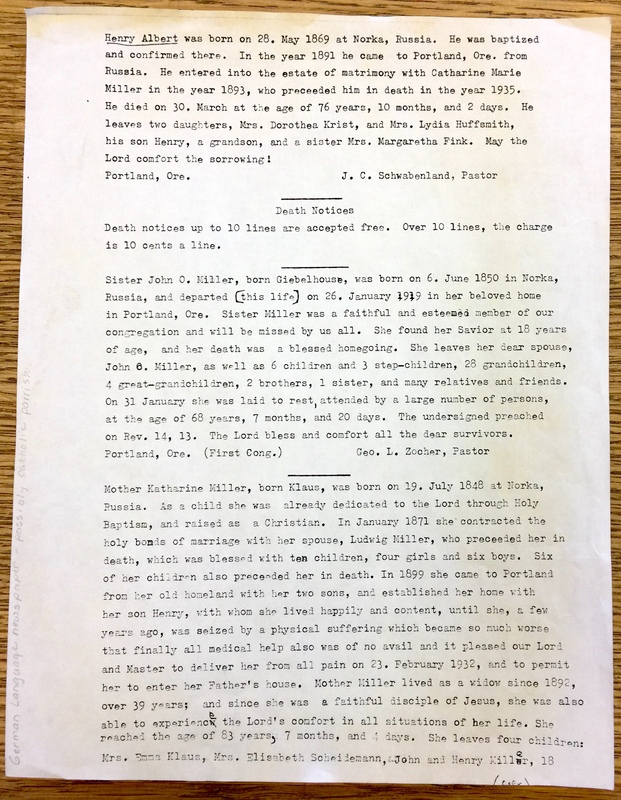 Heinrich married Katharina Margaretha Müller (Kate Miller) on January 29, 1893 at the Ebenezer German Congregational Church in Portland. Kate was born on January 26, 1873 in Norka and was confirmed there in 1887. She is the daughter of Johannes O. Müller and Katharina Elisabeth Hinkel. Henry is listed in the 1893 Portland City Directory residing on the east side of Hendricks Street (now ? ), 2 lots east of Shaver. He has not been found in the 1891 or 1892 city directories and may have been boarding during this time. 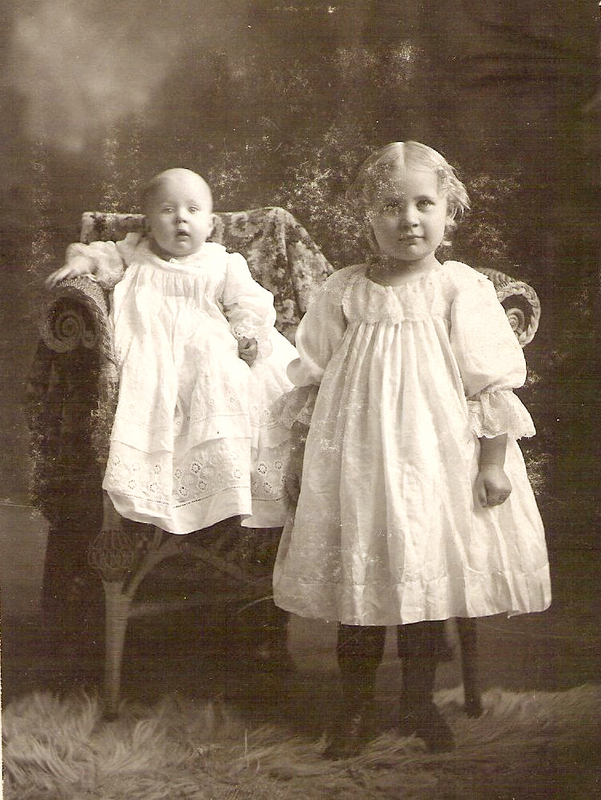 Lydia and Dorothea Albert in 1900. Source: Ancestry.com. 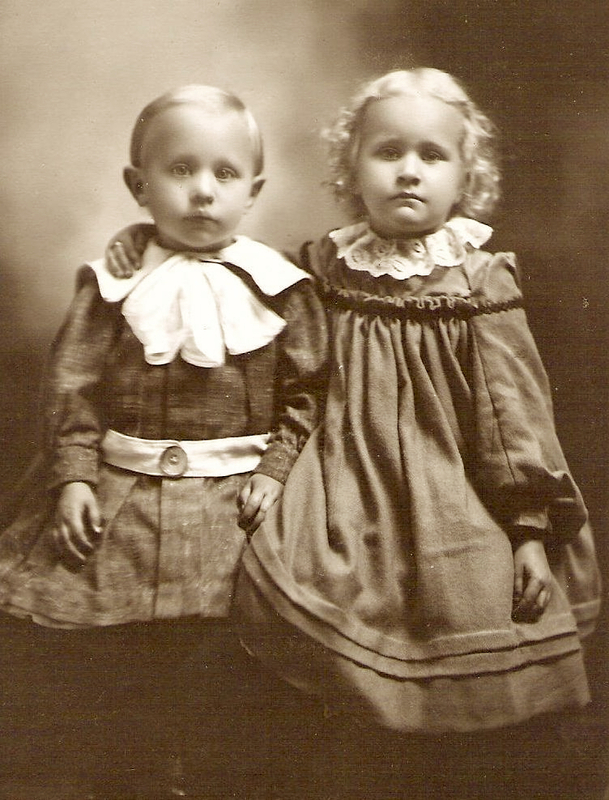 Henry Jr. and Lydia Albert circa 1903. Source: Ancestry.com. The family remained at 321 Beech St. from 1910 through 1930 and Henry Sr worked during this time period as a motorman on a street car. ​Kate died on January 18, 1935 in Portland. Henry was living alone at his house on Beech Street in 1940. Henry died on March 30, 1946 in Portland. Krieger, Joanne, trans. Ebenezer Congregational Church, Portland, Oregon 1909-1984. Portland, Oregon, 2002. 46-47. Print. Krieger, Joanne, trans Zion Congregational Church, Portland, Oregon, 1914-1967. Portland, Oregon: 2001. 405. Print. ​Schwabenland, J. C. Obituary for Henry Albert.